Students use the Bureau of Labor Statistics website to track unemployment rates for their community, and after researching information about the industrial makeup of their community, explain whether their local unemployment rates tend to remain stable or tend to reflect changes in national economic growth and recession. In March 2002, the Bureau of Labor Statistics announced that the U.S. unemployment rate was 5.7 percent. While that number may have been the national average and similar to the 6.1 percent unemployment rate in Kokomo, Indiana, it did not reflect conditions in College Station, Texas, which was enjoying a 1.6 percent unemployment rate. Nor did it reflect the realities of Tulare County, California, which was suffering an 18.6 percent unemployment rate. Why do unemployment rates vary so much across the United States? How do the unemployment rates in your community compare to the national statistics? Define cyclical, frictional unemployment, and structural unemployment. Interpret data tables from the Bureau of Labor Statistics. Compare national and local unemployment data. Identify major employers and industries in the local community. Analyze the effects of types and diversification of local industry on changes in local unemployment rates. The Bryan/College Station Workforce Report: This Pathfinders report details the characteristics of the workforce for potential employers in College Station, Texas. Bryan-College Station Market Report: Employment: This Texas A&M University Real Estate Center website details the College Station, Texas workforce and other local demographics. Local Area Unemployment Statistics: This Bureau of Labor Statistics website publishes unemployment data for all 50 states for the past 10 years. Rural Migration News: California: This University of California at Davis article on Rural Migration News describes the unemployment situation in Tulare County, California. Tulare County, California: The U.S Census Bureau website provides quick facts about Tulare County, California, including workforce and other local demographics. Cinergy Economic Development Network: Kokomo, Indiana: This Cinergy/PSI Energy website details the Kokomo, Indiana, workforce and provides other demographic information. National Association of Counties: This National Association of Counties website allows students to access unemployment data for their local communities. Chart: Students can use this PDF chart to organize the information they find. Local Unemployment Worksheet: A worksheet students can complete to learn more about unemployment in their own community. Unemployment, as defined by the Bureau of Labor Statistics, refers to people aged 16 or older who are not employed but have actively sought work within the last month (unless they were laid off and are waiting to be recalled to the job). In calculating this statistic, the Bureau of Labor Statistics only counts civilians who are not institutionalized (such as being imprisoned), and who do not have mental or physical disabilities so severe as to prevent them from working. In this way, only those who are actually eligible to work and who are making the attempt to find work are counted in the official unemployment rate. People can be unemployed for a variety of reasons. Those who are frictionally unemployed are only temporarily between jobs. Perhaps they have quit a job or been fired, or they are entering the labor force for the first time after completing their education, or re-entering the labor force after choosing to be home with children for several years. Seasonal unemployment is experienced in occupations where labor demand changes predictably with the calendar. For example, some lifeguards lose their jobs as outdoor pools close in September, and Santa Claus characters and seasonal retail clerks lose their jobs each January. More serious forms of unemployment are cyclical and structural unemployment. Cyclical unemployment occurs when workers are laid off from their jobs during an economic slowdown, when demand for their product falls. When product demand rises again, most of these workers will be rehired by their employer. But in the meantime, they find themselves unemployed at a time when unemployment in general is higher, making it difficult for them to find work while they are waiting to be rehired. Structural unemployment occurs when a worker’s skills are no longer needed. While the worker may be well-trained for a particular career, if the employer permanently closes and there is no similar manufacturer in the area, the worker will be required to relocate or train for a different career to find new employment. Firms generally locate in areas where they can find an abundant workforce that can be trained to do the work necessary for the firm to succeed. Communities create economic development councils to try to attract firms, working when they can to diversify local industry, in an attempt to protect the local economy from cyclical downturns. The diversity of the labor force, the availability of other local resources necessary to firms, and the ability of communities and states to attract firms with tax abatements and other incentives have a great impact of the success of local industry diversification. Use this PDF chart to help you organize the information you find. Let’s take a look at the local industry and unemployment rates in College Station, Texas, Tulare County, California, and Kokomo, Indiana. College Station, Texas, consistently enjoys the lowest unemployment rate in Texas and often in the nation. The economy of College Station is heavily dependent on education, which tends to less sensitive than other sectors to economic downturns. College Station’s demographic data can be seen at: Bryan College Station Market Report Employment The Texas A&M University system is by far the largest local employer, and the system adds the benefit of bringing thousands of students to the area, who spend hundreds of millions of dollars at other firms in the community. College Station’s manufacturing base is diversified among poultry processing, software, building products, and construction, with an extensive service sector in education, medicine, banking, retail sales, and a call center. And College Station has the labor force potential to bring even more firms to the area. You can skim through the Bryan/College Station Workforce Report . This Pathfinder study reports that new firms would be most likely to employ underemployed workers–workers who are currently employed but would accept a more suitable job if one were offered. The study found that nearly 13,000 people in College Station are experienced and qualified to accept new positions. Of those potential employees, 25 percent have college degrees and 30 percent have some college experience, and most are skilled and experienced in a wide variety of occupations. Because College Station relies heavily on education for employment, which is not very sensitive to economic downturns, and because it has diversified its other industries and holds great potential for even further economic development, the community is able to enjoy consistently low unemployment rates that vary little with changes in the national economy. To see College Station’s unemployment data for the last 10 years, click on the link and click on "Texas", and then click on “BRYAN-COLLEGE STATION, TX” and “Retrieve Data”. Tulare County, California, however, suffers a chronically high unemployment rate. To get a flavor of the local economy, read the section of the following website labeled “Tulare ." The closing of the large food processing plant in Lindsey added significant structural unemployment to the Tulare area. The Corcoran State Prision lies just over the county line, in Kings County, and while the inmates do not appear in the labor force due to their incarceration, their consumption of resources affects employment in nearby Tulare. Because of the techniques used to gather data, several Tulare County residents who work at the prison are not counted in the Tulare County labor force, which may distort the unemployment statistics. Given the Drug Enforcement Administration's label of the area as a "source nation for methamphetamine," based on an estimate that a majority of the total U.S. supply of the drug is produced in that region, underground employment is a major issue. In addition, a significant number of guest workers from Mexico have immigrated to the area to seek agricultural work, further increasing the unemployment figures. The county has actually been paying welfare recipients an average of $1600 to leave the area. The demographic data can be seen at the U.S Census Bureau website. According to previous data, 28 percent of workers in the county are employed in agricultural concerns, while only 9 percent are involved in manufacturing. The dairy industry is essential to the local community, with the little manufacturing being heavily concentrated in the dairy industry. What is notable is that agricultural products, dairy products, and the service industries employing workers in this community are not strongly subject to wide swings in the unemployment rate due to recession. However, low crop prices are threatening to put some farmers out of business entirely. So while Tulare County, California suffers unemployment well above the national average, that rate does not tend to sway much with the changes in the national economy. See Tulare County’s unemployment data for the last 10 years. Click on "California" and then click on “VISALIA-TULARE-PORTERVILLE, CA” and “Retrieve Data”. The unemployment story for Kokomo, Indiana, is a bit different. Look at Kokomo’s demographic data . Kokomo’s economy is heavily dependent on the auto industry, with approximately 90 percent of its manufacturing jobs provided by two employers: Delphi Delco Electronics Systems and Daimler Chrysler. Further, both corporations are part of the automotive industry, which experiences serious fluctuations in consumer demand during periods of recession. 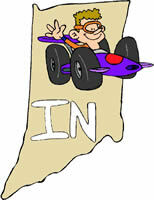 Because jobs are tied to the demand for cars, Kokomo is subject to strong influences of cyclical unemployment. When the national economy experienced strong growth in 1998-2000, Kokomo’s unemployment rate generally fell below 3 percent, even as low as 2.2 percent, far below the 4-5 percent national average for that period. However, as the economy slid toward recession in early 2001 and Daimler Chrysler put thousands of employees on temporary layoff, Kokomo’s unemployment spiked to 9.5 percent in January 2001 and stayed near 6 percent through March 2002, with rates as high as 6.9 percent in March 2001 and 6.6 percent in February 2002. Such layoffs affect not only the workers at those sites; other businesses in the community are hurt by the lack of demand as those laid-off workers try to conserve funds. Further, surrounding communities are also hurt by the layoffs of workers who had commuted to Kokomo, and the firms in those towns then experience the loss of demand due to the layoffs, leading to even more layoffs and potential business closings. While the other metropolitan areas of Indiana diversified into service industries between 1992 and 2001, on average increasing service sector jobs by 17 percent, Kokomo only increased its service sector growth by 6.2 percent in 10 years. Instead, Daimler Chrysler invested $455 million in another transmission plant in Kokomo. Because Kokomo’s economy is so closely tied to cyclical industries, local unemployment is likely to continue to rise and fall with the performance of the national economy. To see Kokomo’s unemployment data for the last ten years, go to the Bureau of Labor Statistics website and click on "Indiana" and then click on “KOKOMO, IN” and “Retrieve Data”. Now let's take a look at unemployment and industry in your community. Have students turn in their papers at the end of class. Because natural resources, labor resources, and local community efforts lead employers and industries to settle in different areas of the country, unemployment rates in those communities will vary substantially. Those communities with a great diversity of industry or those which concentrate in industries that are not deeply affected by recession will find that their unemployment rates tend to remain relatively stable, while communities which focus on a small number of recession-sensitive industries will find their local unemployment rates rising and falling with the national averages. Local economic development councils can use this information, and after researching demographic data, can work to attract a variety of industries to try to stabilize their local unemployment rates. Write a short essay entitled "A Tale of Three Counties: 2010." How do you think industrial and employment patterns will change in these counties over the next ten years? Think about resource mobility and changes in product demand over time. 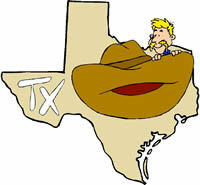 If interent resources make teaching faculty more productive how would that affect College Station, Texas’ unemployment? If consumers continue to demand more fresh fruits and vegetables and significantly reduce their demand for canned good, how would that affect Tulare County, California’s unemployment? If auto manufactures follow the lead of other heavy manufacturing industries in relocating to Mexico and other countries, how would that affect Kokomo, Indiana’s unemployment? Write a paragraph describing the industry and unemployment patterns in your community. Explain how your local unemployment rates compare to the national rates; also explain the reasons for those similarities or differences. Then explain how the diversity or concentration in a few industries, as well as the types of industries, help to determine the stable or cyclical nature of your local unemployment rates. What would you suggest about economic development initiatives that would be best suited for your community, based on the demographic information you have found?